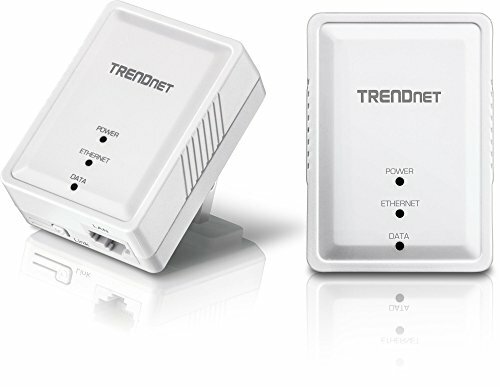 TRENDnet’s Powerline 500 AV Nano Adapter Kit, model TPL-406E2K, uses an electrical outlet to create a high speed network. Two adapters are needed to start a network. Connect one adapter to your router and plug another adapter into an outlet on your electrical system for instant high-speed network access. The compact form factor saves space around crowded electrical outlets. Use up to 8 adapters to network devices in different rooms without running new cabling. The compact form factor stays off the ground by plugging directly into an outlet.